The Weeknd performed in his hometown of Toronto last night (November 6) at the "Open HXOUSE" launch, and he gave the audience at Rebel some exciting news about his next project. The XO crooner revealed that his upcoming project is in the works, and it could be titled Chapter 6. 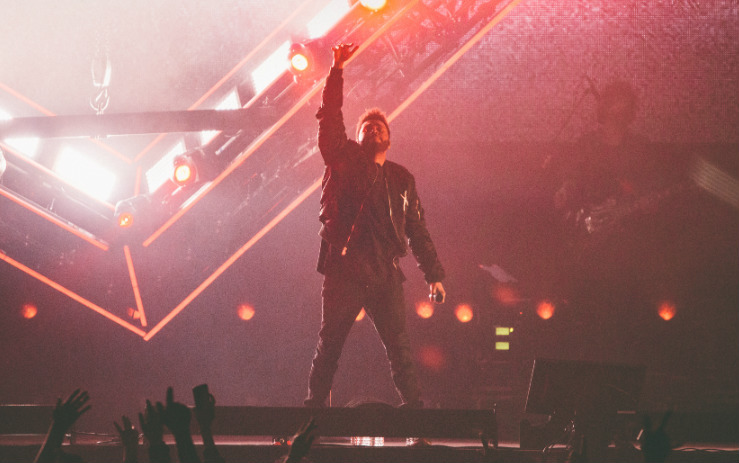 While details are still unclear, it could mark the full-length follow-up to 2016's Starboy, though he also released an EP called My Dear Melancholy, earlier this year. Addressing the crowd, the Weeknd said that he'd been incredibly inspired since returning to Toronto a few days ago and confirmed that he's working on a new project. After a dramatic pause, he declared, "Chapter 6, coming soon." Watch fan-shot footage of the reveal below. He later hinted at the announcement on Twitter, writing: "Some chapters are smaller than others. Not this one though…"
UPDATE (11/7, 4 p.m. EST): A press release from the Weeknd's label, Republic Records, has confirmed he is indeed working on a new project. However, it neither confirms the title to be Chapter 6 nor says it will be a full-length studio album. So stay tuned for further details as they emerge. As previously reported, HXOUSE is a talent incubator space located at Artscape Daniels Launchpad in Toronto, designed to support Canadian creativity.